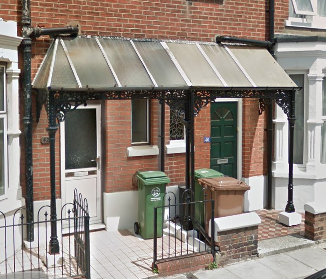 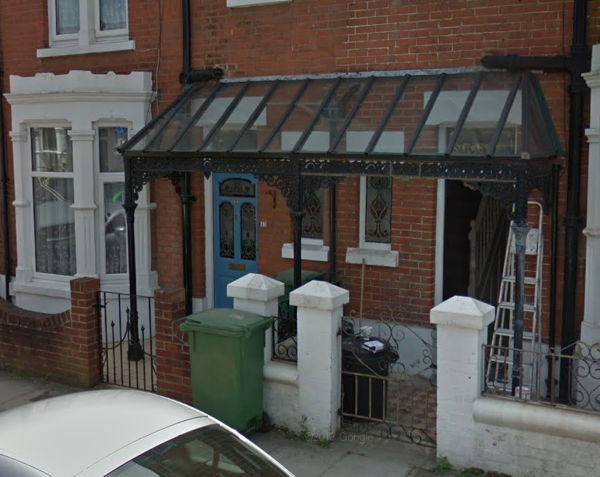 Wrought Iron veranda/ canopy for a victorian house in portsmouth southsea. 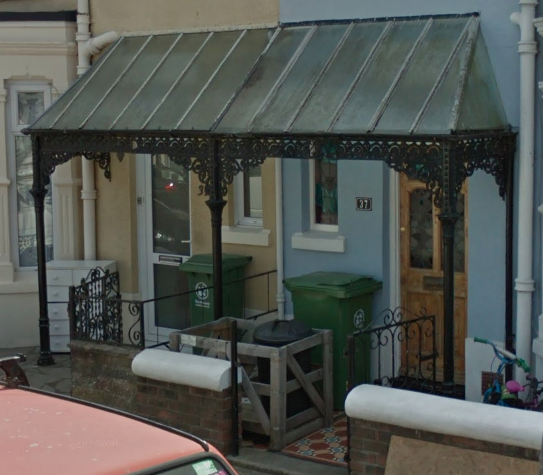 We are searching for a wrought iron veranda/ porch with approximate dimensions of 1.5m wide by 2.2m wide to sit as a canopy over our front door to a victorian property. 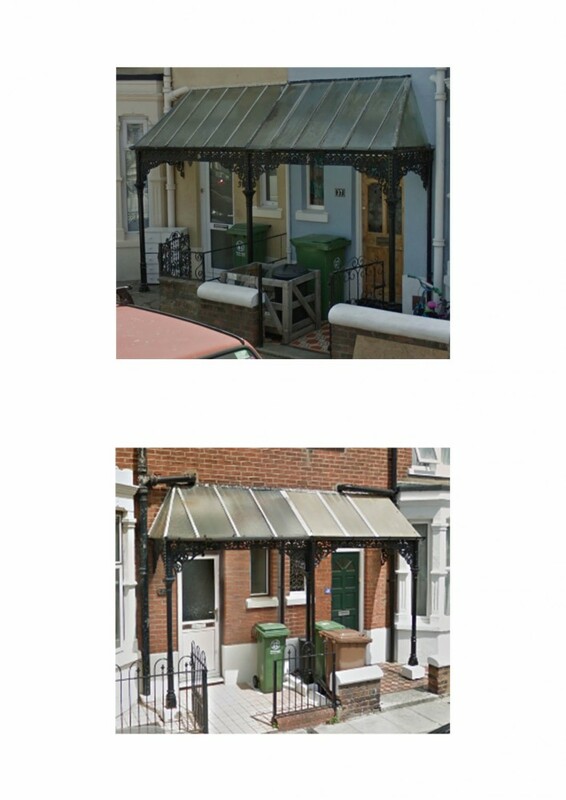 Below I have attached an image of a similar canopy below.